The following is a letter from Vanessa Kirsch, founder and CEO of New Profit. Last week, we announced a new partnership with the Bill & Melinda Gates Foundation. Drawing on New Profit’s expertise in propelling visionary social entrepreneurs and their organizations, we’ll be working with the foundation’s College-Ready Education team through the New Profit Innovation Fund to accelerate the number of great organizations focused on improving educational outcomes across the United States. We believe that by working with the world’s most influential philanthropic institution, we can change many more lives for the better and elevate our collective impact in a win-win way. This milestone led me to reflect on where we’ve come as an organization and the great possibilities that lie ahead. When we created New Profit in 1998, very few foundations supported social entrepreneurs, and even fewer were explicitly focused on finding newer, more effective ways to accelerate their work and build their capacity for scale. Few individual philanthropists had ways to know about, find, or direct their support to social innovators. It felt like we lacked a dynamic market for social problem solving. We believed that social innovations should be—and could be—as ubiquitous as great companies and products. And we had a hunch that some of the traditional approaches to philanthropy were a part of what held them back. We suspected that just as a commercial enterprise could never reach its potential without growth capital and strategic support, social entrepreneurs would need flexible support over time to innovate, improve their offerings, and build capacity to scale them. We didn’t have an easy time finding financial support for this vision in the early days, because our approach is so counter to the dominant ethos that drove—and still drives—most philanthropy. For example, the traditional philanthropic outlook confuses accountability for how nonprofits use resources with a requirement to spend as high a proportion as possible on programmatic services. It also confuses making lots of small, short-term bets across multiple organizations for risk management, though often times short-term, small grants are what can leave organizations short of the capacity to effectively manage, learn about and improve their impact. Fatefully, we crossed paths with some bold philanthropists in those early days who shared our impatience with the old way of doing business and were willing to take a risk on an entirely untested idea. I feel unbelievably fortunate that many of those early supporters are still with us after all these years. In our first decade, we invested in a group of extraordinary social entrepreneurs, including the founders of Teach For America, KIPP, Citizen Schools, LIFT, Freelancers Union, Jumpstart, Health Leads, Year Up, and Management Leadership for Tomorrow. As we worked closely with these leaders and their teams, their organizations began to grow at a significantly greater than average rate. The proof points that they created helped shape the public narrative around social entrepreneurship and led to more budding social entrepreneurs, more innovation, and more focus on rigorous performance and outcomes. At the same time, compared to the scale of the problems that they sought to solve, social entrepreneurs were hardly making headway at all. They—and we—realized we weren’t getting far enough, fast enough. We were impatient and ready to move beyond direct impact to widespread, systemic impact. As we neared our second decade, we expanded our investing and launched the Gathering of Leaders, our annual convening that brings together bold problem solvers from across sectors for future-oriented dialogue and collaboration. The Gathering paid off almost immediately as a new forum for social entrepreneurs to build community and learn from each other. 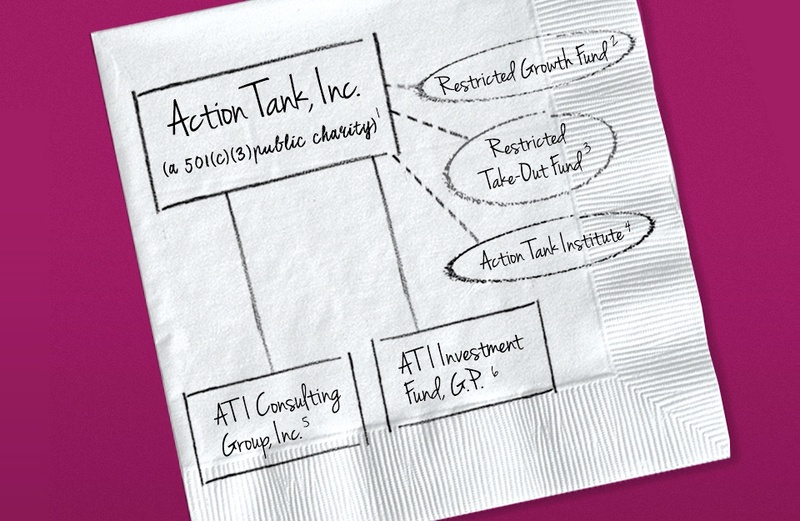 It was also a launch pad for new cross-sector ideas like America Forward, New Profit’s policy arm. Together, these became avenues to drive impact at the systemic level. The Gathering and America Forward led to some extraordinary things, like the creation of the Corporation for National and Community Service’s Social Innovation Fund, a groundbreaking federal fund that sought to catalyze innovative social problem solving the way other government entities helped transform information technology, global health, and genetics, among other things. Our investing continued to expand too, with organizations like Acelero Learning, College Possible, iMentor, and FoodCorps joining the portfolio. Again, though, we were impatient. While we were creating additional direct impact proof points through our investments in social entrepreneurs and building a larger network of change agents, we were still searching for stronger pathways to widespread impact. Which brings us to this moment of extraordinary possibility. We are increasingly thinking about the entire ecosystem for change – and looking at the fact that a complex problem requires not just one actor, but a set of actors coming from many different perspectives and able to work in an aligned way. We are now funding ecosystems to solve social problems and seek unprecedented avenues for impact. 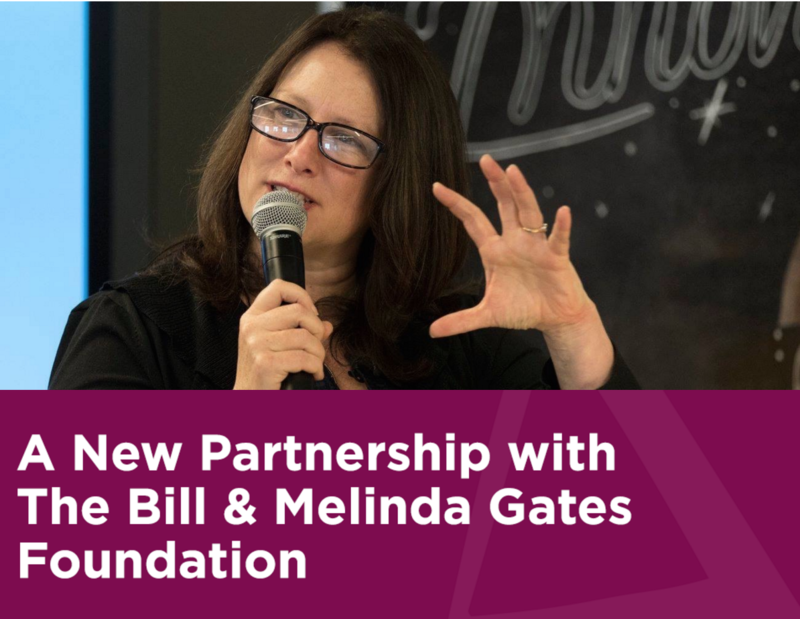 The Gates Foundation partnership opens up many new learning opportunities and brings together an even bigger network of exceptional leaders and innovators. It also provides a megaphone to a broader audience to spread some of our best insights about venture philanthropy across the social problem solving landscape. And they understand why investing in ecosystems is important, and are coming along on this journey with us. Our new Focus Funds are leading the way to creation of entire new fields for pursuing social impact. America Forward just launched its new Presidential Briefing Book and is gearing up to highlight the best ideas and approaches from our network in the 2016 Presidential Campaign. And we are getting mobilized to bring together an incredible group of visionaries for our 2016 Gathering of Leaders in March. None of the things I wrote above would have been possible without our network of supporters and partners, to whom I'm deeply grateful. I’m so optimistic and excited about what the future holds.